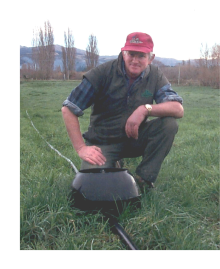 Kirk Irrigation was established in 1999 by Rob & Pam Kirk following the successful invention and introduction of the K Line irrigation system by Rob's brother Jon Kirk. Since that time the company has grown significantly and now offers a comprehensive and competitive range of quality irrigation, effluent and pumping products and services. Our range of irrigation and slurry products includes the BAUER range of irrigation and slurry handling equipment. Located in Voitsberg, Austria BAUER are world leaders in the design and manufacturing of irrigation and slurry equipment including centre pivots, linear irrigators, hard hose guns, slurry pumps and mixers, solids separators and slurry tankers. BAUER provide innovative design based on many years of experience, quality engineering and consistent ongoing support for their products.